Today we’d like to introduce you to Dorell Phillips Sackett. Dorell, can you briefly walk us through your story – how you started and how you got to where you are today. I grew up in Rhode Island, with many pets, as my dad brought home abandoned, malnourished dogs he would see on his truck route. Throughout my childhood, I wondered why anyone would leave these sweet animals on the streets or junkyards? While student teaching in Boston, Massachusetts, and volunteering at the Angell Memorial Animal Center, my concerns became so intense that I needed to do something about the state of animal care. As a dual certified K-12 teacher, humane education was the answer. Teach them not to hurt animals was the lesson. I moved to Northern California and became the lead transporter for Humboldt Wildlife. While there, I facilitated hundreds of captures and releases of various Northern Coastal California species, taking every opportunity to educate the public on the impact humans have on the animals’ well-being, during the “in the field” educational program. Following in my father’s footsteps, I found myself continually helping many abandoned dogs and cats along the way. With rescues in tow, I moved south to Santa Barbara and joined the staff of the Anacapa Fund, where I participated in the innovative Best Friends Animal Sanctuary direct mail fundraising campaigns. I enjoyed my many visits to the sanctuary property and spending free time helping “old friends” in Dogtown and FIV cats in Cat World. Moving to San Diego County, I found myself building a very successful humane and education program and the first Kids Community Service Program for the Rancho Coastal Humane Society in Encinitas. I continued to question WHY there were 14 animal shelters in San Diego County, FILLED with homeless and unwanted dogs, cats and rabbits? Because of this, it was an easy choice in 2002 to join Maggie Houlihan and Candy Schumann (two of the five original founders of SNAP), in building and creating the first mobile spay and neuter unit and proper pet care program in San Diego County. Our goal was to bring low-cost spay/neuter services, free pet education classes and hands-on volunteering projects to youth and adults in underserved areas of San Diego County. 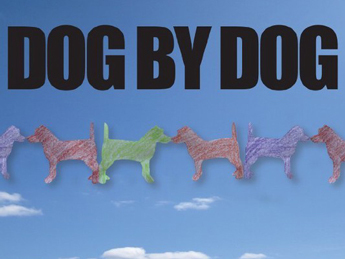 In approaching homeless animals as the ROOT of the problem, we found the answer, PREVENTION. 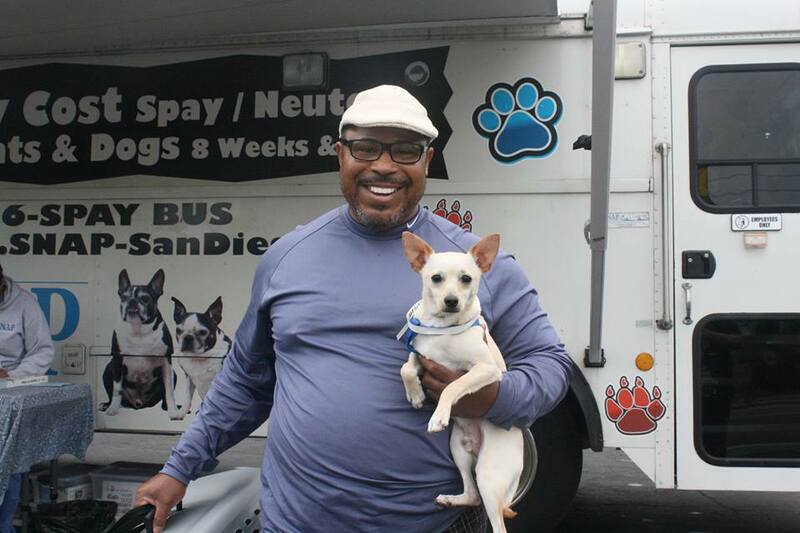 During my role as director of the Spay-Neuter Action Project for the past 10+ years, over 60,000 combined dogs and cats have been altered for San Diego County residents, aboard our 38-foot high-volume mobile unit. Many more families have been educated on the importance of responsible pet care. Preventing hundreds of thousands of unwanted statistics (less euthanized dogs, cats and rabbits) is our sole mission. If we truly want no kill shelters, we need no births on the streets. Alright – so let’s talk business. Tell us about Spay-Neuter Action Project of San Diego – what should we know? SNAP is a 501(c)3 charitable organization that runs the Neuter Scooter, a 38-foot mobile spay and neuter unit. We are known to be San Diego’s first and only mobile spay and neuter service, offering low-to-no cost spay and neuter procedures for dogs and cats belonging to low-income pet owners, right in their own neighborhood. Our Neuter Scooter surgeries are performed by California State-licensed Veterinarians, assisted by licensed registered veterinary technicians, veterinary assistants and kennel assistants. Since two unaltered dogs and their offspring can produce over 67,000 puppies in six years and two cats can produce over 420,000 kittens in those same six years, it is crucial that spay and neuter services be affordable to all pet owners. Sadly, 50,000 dogs and cats enter our San Diego County shelters each year, so it is clear to see that we are saving lives each day by preventing unwanted litters from coming into existence in the first place. Along with reducing pet overpopulation and its tragic consequences, the affordable spay/neuter program has immediate benefits through an improved quality of life and longer life expectancy for altered pets, and for the households in which they live, the elimination of mating-related behaviors or the prompt disposal of yet another unplanned litter. On a broader scale, community health improves by way of less strays roaming the streets, less animal waste, less dog aggression and dog biting incidents, and less cases of animal abuse. Taxpayers benefit from less taxpayer dollars going to tracking, treating, housing, and euthanizing in City and County-run shelters. The correlating amount of taxpayer money not used for these purposes can be redirected for example, to repair aging infrastructure or developing spaces for family enjoyment. SNAP is a win win for all. Every person that makes the decision to spay or neuter their pet, or adopt an already altered pet, is the best advocate for animal welfare and SNAP’s mission. We work with animal shelters and rescues, veterinarians, politicians, the media, and of course the citizens we serve. None of our work could be done without our donors, supporters and volunteers. SNAP’s medical team provides the best care in the most efficient and safe environment. The SNAP veterinarians are spay/neuter specialists performing hundreds of surgeries each week. The volunteer board of directors and advisory committee are the backbone to this success.